We rolled out a couple new updates to the system this morning centered around making your reconciliation and tax reporting easier than ever! When editing a payee, you can now exclude them from 1099 reports by unchecking the new 1099-MISC option in the upper-right of the screen. This will remove this payee from all 1099 reports and efile. Within Settings, Program Defaults, Advanced Settings, you can also now remove all “collected” payees from 1099 based reports. Just set the new option to “No” and all collected payees will no longer litter up your 1099 reports. This causes the system to behave the same way it used to in regards to one-time payees. Tip: Use this feature cautiously. Disabling collected payees from 1099 reports could cause you to accidentally not issue 1099’s for some payees that you may have intended to. 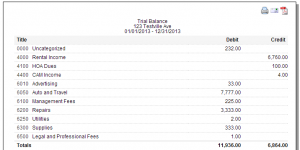 We’ve also added in a Trial Balance report within Financial Reports. Trial balance reports are often used for reconciling owner or property accounts to ensure the debits and credits equal zero at the end of a period. This report is also useful for complying with state real-estate trust accounting rules. For more information about Trial Balance reports, please see this wikipedia article. The report is fully functional; however, we’re going to leave it marked *IN TESTING* (aka, Beta) for the time being until we’ve received additional client feedback. We’ve also discovered that the term “Trial Balance Report” means a lot of different things to a lot of different people. Looking at best accounting practices we’ve crafted ours to match the most common type of trial balance reports for the property management industry. 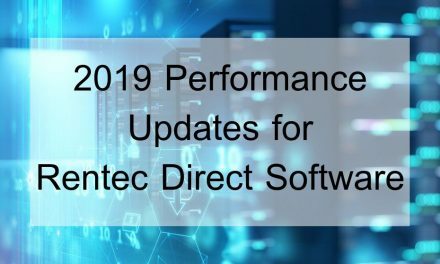 If your state or corporation is used to a different type of trial balance report and it’s desired, please let us know about it by sending a sample to support@rentecdirect.com. P.S. Don’t forget, time to send in 1099s is right around the corner. Rentec can make this process a snap by electronically filing them for you using the existing data in your system. See our post about electronic 1099-MISC filing. PreviousNeed to Move Your Units?